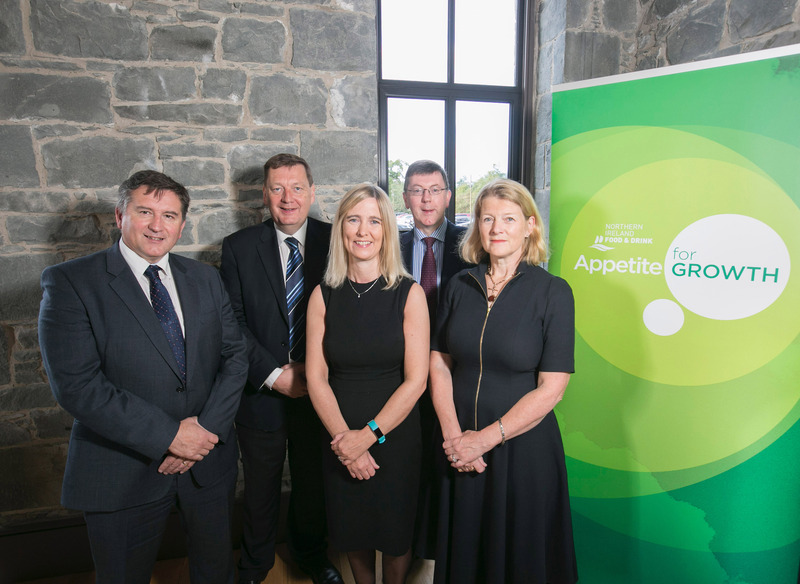 Business leaders at the Northern Ireland Food and Drink Association (NIFDA) ‘Appetite for Growth’ conference have heard how a strong trade deal with Europe post Brexit will be vital to protect the future of the province’s biggest export industry. The annual event, which was hosted by NIFDA and supported by Bank of Ireland and the Department of Agriculture, Environment and Rural Affairs, addressed the challenges and opportunities Brexit presents for food and drink businesses here. “Given the complexity and scale of the issues facing our industry, there has never been a more important time to bring everyone in the supply chain together to discuss immediate concerns around border controls, trade tariffs and access to migrant labour. There are undoubtedly enormous opportunities for Northern Ireland’s food and drink industry to grow but lack of access to Europe is a huge threat. Brexit presents a once in a generation opportunity to create a framework that works for us, so it is imperative that business and political leaders come together to get it right. Other speakers at the event included Tina McKenzie, Staffline Group, Alan Bridle, Chief Economist at Bank of Ireland and Victor Chestnutt, Deputy President, Ulster Farmers’ Union.